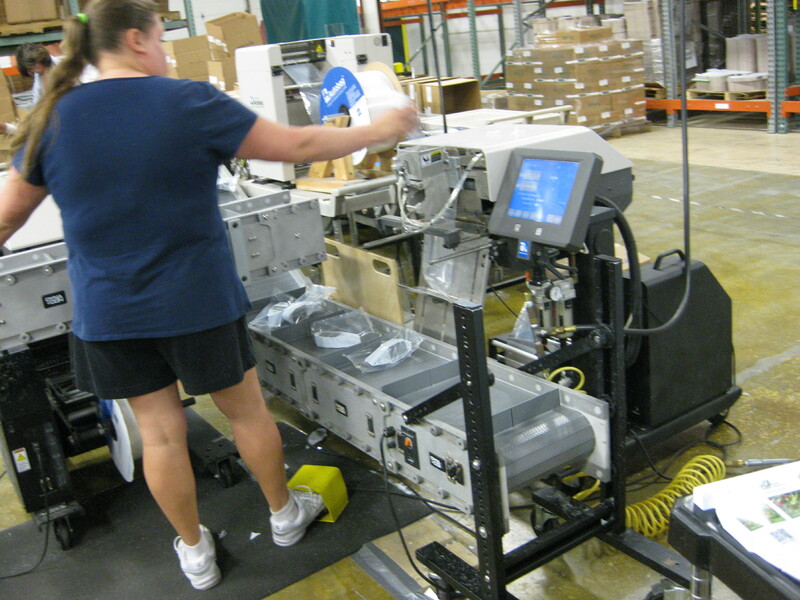 Although MasterTag recycles much of the scrap plastic from its production line, the company’s commitment to environmental issues and sustainability led it to search for a solution to recover the scrap from a newer machine they built. The challenge was getting a conveyor system to fit within the tight space and still have enough room for a bin to collect the scrap. 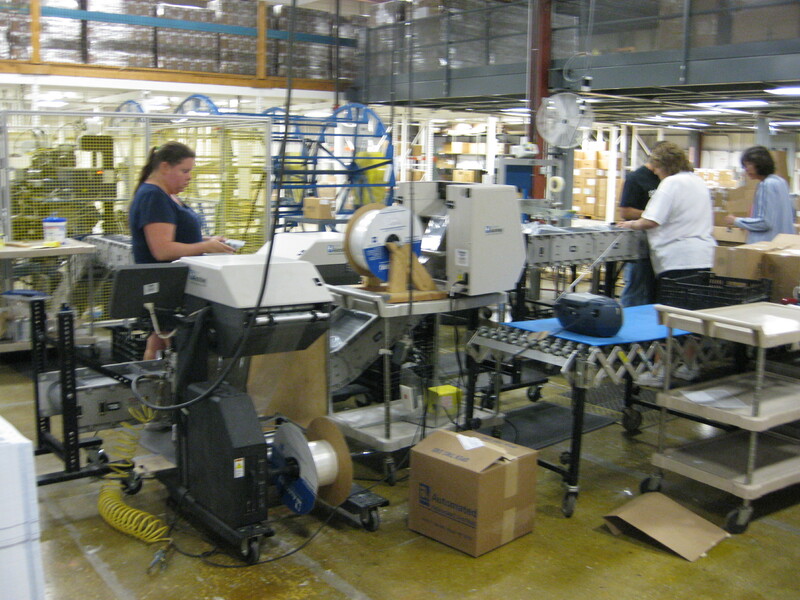 Usually conveyors are the bottleneck on a production line,” says Greg Stapel, Engineer Assistant, at Montague, MI-based MasterTag. MasterTag is the premier producer of horticultural care tags and merchandising solutions that are inserted into potted plants and flowers sold at greenhouses and big box stores like Home Depot and Lowes. Since purchasing its first DynaCon modular conveyor, MasterTag has installed five DynaCon conveyor systems to address an array of material handling challenges, including ergonomics, process extensions and tight space tolerances; therefore, they contacted Dynamic Conveyor to design a conveyor for their system to increase their recycling and reuse of plastic scrap. For the recycling application, Dynamic Conveyor provided MasterTag with “a skinny conveyor system, capable of conveying at angles up to 60 degrees that integrated easily into our existing system” says Stapel. 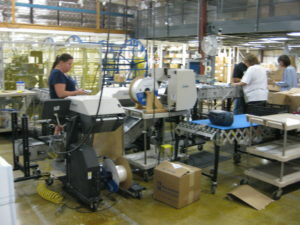 In line with MasterTag’s commitment to environmental issues and sustainability, the conveyors offer a sustainable and eco-friendly conveying solution by reducing, reconfiguring and reusing as well as utilizing the most energy efficient motors, costing just pennies a day to operate; thus reducing carbon emissions during the making of electricity.